Room service or in-room dining is a particular type of service provided by hotel, resort or even cruise ship which offers guests to choose menu items for delivery directly to their room for consumption there, served by staff. In most cases, room service department is organized as a sub division of Food & Beverage department. 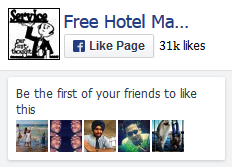 Usually, motels and low to mid-range hotels don’t provide such services. In depth analysis on room service department of a hotel or resort. Detail discussion on professional order taking, order delivery, tray & table setup (with pictures) etc. Practical training like list of questions to be asked, delivery time estimation technique etc. A complete chapter on dialogue that should help readers to imagine real life situation. A whole chapter on different forms & documents used in room service department. If you wish to work in room service then you must buy this book. As said before there has been no single training manual written on this topic to meet the requirement of this sophisticated business. 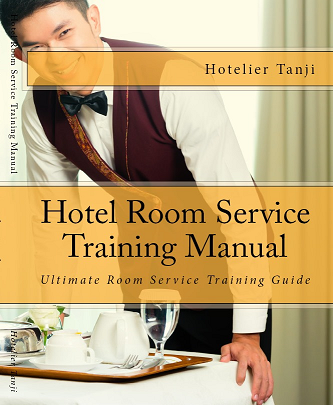 Hotel Room Service Training Manual from Hotelier Tanji is the very first book of its kind.